I thought long and hard about what to call these. They combine so many good things into one little package: sweet potato pie, goat’s milk, single servings, crustless-ness… In the end, I went with the briefest title that would do justice to such a flavor-packed little dessert. My inspiration for these began with a snippet in the latest issue of Cooking Light magazine. 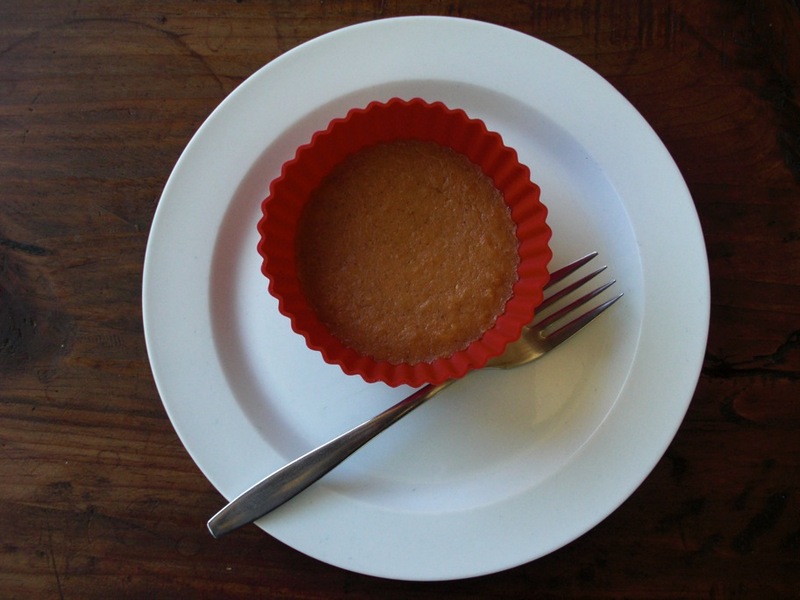 The article suggests baking pumpkin pie in ramekins rather than a traditional crust. I love the idea of a crustless pumpkin pie! I’ve always liked the custard filling better than the crust anyway. I filed that recipe idea away in my brain as something I’d have to try this fall. 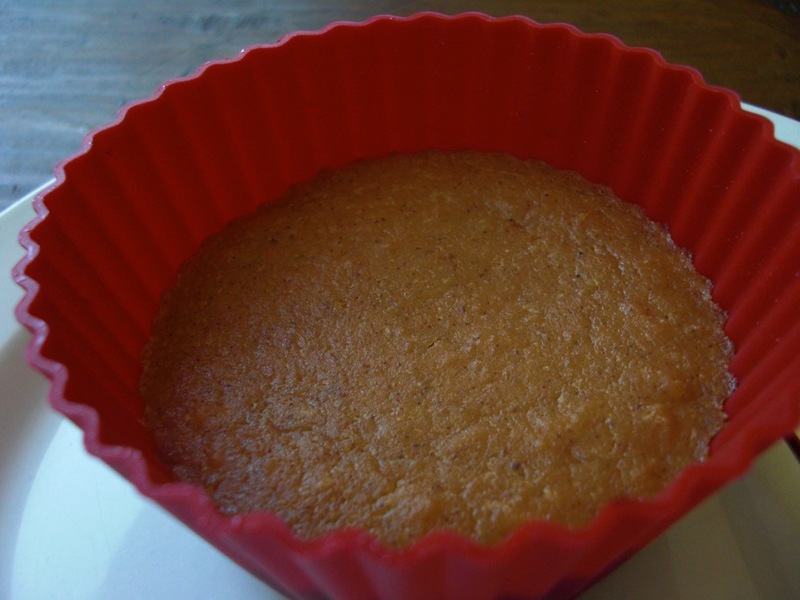 Then I saw these Impossible Pumpkin Pie Cupcakes on Baking Bites and almost decided to make them instead (I’m sure I will, soon enough). Instead, I combined the crustless pumpkin pie concept with the cupcake idea and added my own, unique twist. I pulled out the 6 pack of Texas-sized silicon muffin cups I got a Reny’s earlier this summer (apparently muffins are bigger in Texas). Rather than stick with pumpkin filling, I looked up the sweet potato pie recipe I made for Thanksgiving last year. It was a hit on Thanksgiving and a bit more substantial than pumpkin. When I realized I’d need evaporated milk another twist on the traditional came to mind: evaporated goats milk! I know, it’s weird, but I really love the taste of anything made with goat’s milk (cheese, yogurt, you name it). I have always wanted to try baking with the canned Meyenberg evaporated goat’s milk I see in the store. This was my chance! So how did my little experiments turn out? They’re delicious! The sweet potato filling is velvety, nicely spiced, and satisfyingly dense. I love the smooth texture and melt-in-your-mouth quality of custard pie fillings. The goat’s milk flavor is definitely there but it’s not so strong that it distracts from everything else. These mini-pies are really easy to make. They only require one bowl. I divided the batter into 6 large muffin cups but it would fit in 4, for more generous servings, or in ramekins of a similar size. You can eat them right out of the muffin cups or pop them out onto a plate with some ice cream or whipped cream. This takes the drama out of decided how big a piece of pie you want after dinner. Spoon or fork, enjoy dessert one bite at a time! Featured on Baking is Hot! Cook sweet potato in the oven or microwave. Peel it and mash it in a bowl. In a separate bowl or a mixer, beat butter and sugar together till smooth. Beat in egg, agave, and orange juice, if using. Add sweet potato, milk, vanilla, salt, cinnamon, and nutmeg. Stir well to combine. Spoon into large silicon muffin cups arranged on a cookie sheet or oven-safe ramekins. Bake 30-40 minutes at 350 degrees. Cool for a few hours before serving. Heat them up or devour them eagerly at room temperature. Pumpkin pie filling is a lovely thing, and your sweet potato version sounds great! I’ve never tried evaporated goat’s milk, but now I’ll have to look for it. I’ve found the goat’s milk in the baking section or the specialty/natural foods section of the grocery store. I’ll let you know when I figure out what to do with the second half of the can I used for this recipe! I didn’t even know they made evaporated goats milk. You’ve got to try it! It’s soooo tasty. I used the leftover milk from this recipe in french toast and it was amazing. 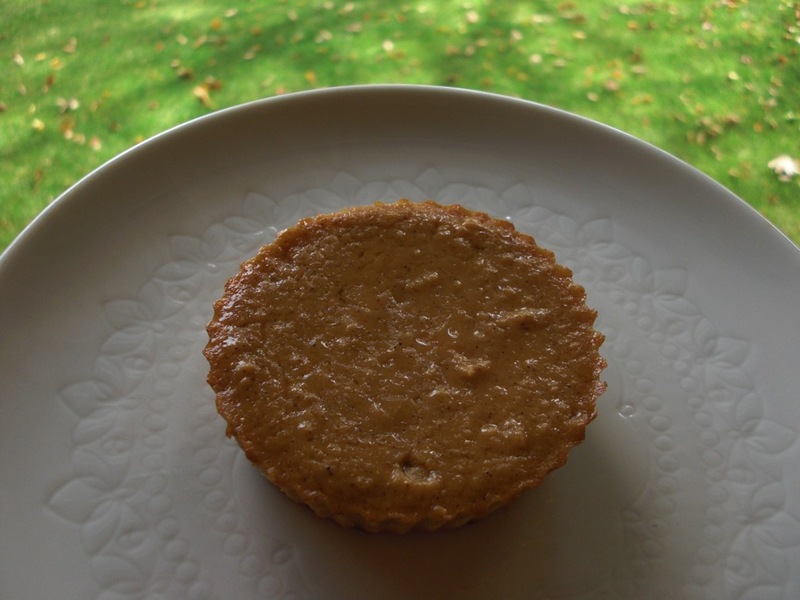 Thanks for this post – a friend asked me to make her a sweet potato pie with goat milk and so I found your recipe. I made two – one for her and one for me. Delicious! I skipped the orange juice and used a whole wheat crust, but otherwise stuck to the recipe. I was worried about the flavor from the goats milk, but I really didn’t notice!